McLaren’s 2019 Formula 1 line-up and the team’s chief executive officer visited the Motorious stand at the Autosport International Show today. Motorious.com, a new asset of the Motorsport Network, is the global destination for enthusiasts who want to read about, buy and sell collector cars. 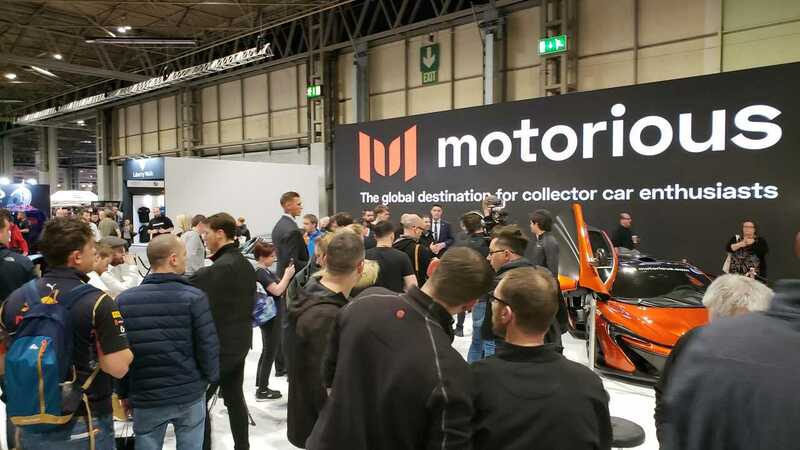 Lando Norris and Carlos Sainz Jr are both new signings to McLaren, and during their press commitments spent time to admire the McLaren P1 and 1963 Chevrolet Corvette Stingray on display at the Motorious stand. The P1 utilises technology from McLaren’s F1 programme, including some innovations that are banned in the sport today, and was produced between 2013 to 2015. It is Brown’s own example of the 903bhp hypercar that forms half the display. McLaren’s entry into the Indianapolis 500 this year will use Chevrolet engines, and so it was natural that the drivers also admired the Corvette, a rare fuel-injected 327ci V8 model, most noticeable for its split rear window and another of Brown’s own cars. Rob Kauffman, chairman of Motorious.com, was also present, and chatted with the McLaren team for Motorsport.tv, the Motorsport Network’s online platform for video content. Motorious.com is a joint venture between the Motorsport Network and Speed Digital, a market-leading US business that provides its proprietary software solutions and digital platforms across the North American automotive and classic car industry. The organisation is focused on assisting dealers, auctioneers and collectors with its state-of-the-art dealership management software and custom web & marketing solutions.